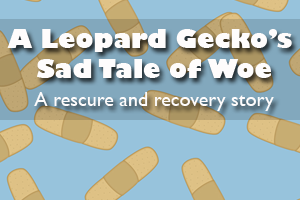 It’s been a long road and bumpy road for this lovely leopard gecko. She was sitting on a vendor’s table at a reptile show last summer, July 2010, marked “RAPTOR F needs work $10”. 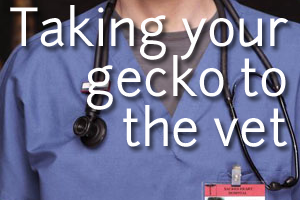 With the vast source of information available on the internet, and so many products readily available, do I really need a herp vet for my geckos? Can’t I just go to the vet my family sees for our dogs and cats? I’ve at times wondered why we are so obsessed with gecko poop. They poop too much, they don’t poop enough, it’s stinky poop, it’s runny poop, it’s hard poop, babies poop more often than adults, is this poop? 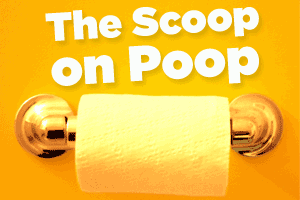 Then we have to clean up the poop. We even go as far, on occasion, to pick apart the poop.